Anchorite whose visions of “Christ Our Mother” are filled with extraordinary tenderness and exquisite consolation. Wife, mother of fourteen children, beer brewer, lay mystic and pilgrim. Surely one of the most memorable characters of the Middle Age. Another fine volume and translation. vernacular language. 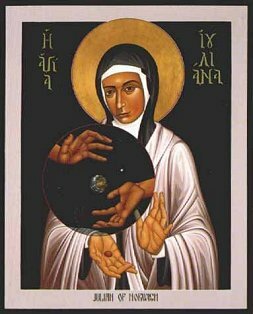 Features Julian of Norwich as a character. Earthy, unabashedly dramatic, often funny and endearing autobiography of an unforgettable English woman’s call to the spiritual life. that can be full honor to Thee.